John Steinbeck once wrote, "Positano is a dream place that isn't quite real when you are there and becomes beckoningly real after you have gone." Inspired by the dramatic splendor of this town on Italy's Amalfi coast, our Positano quilt is an exotic mix of color and pattern. Banded with an assortment of tile motifs from Spain, Morocco, Portugal and Italy, it's rendered in brilliant shades of the season, reverses to a scrolling print. 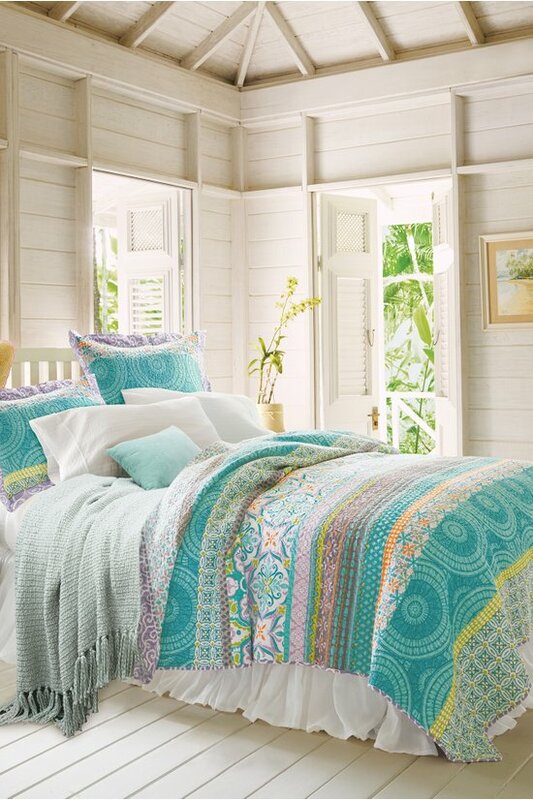 Crafted of lightweight cotton, this bright, beautiful quilt is the quintessential summer layer. 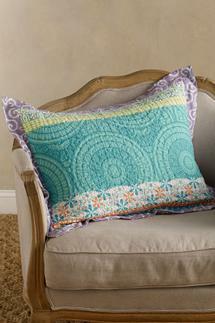 Complete the sunny look with the Positano Bed Sham (sold separately). The exotic motif features bands of beautiful tilework patterns. Machine wash cold, mild detergent, separately, Do not bleach, Hang to dry,Do not dry clean.